What an excellent piece of software! Congratulations O'Telecope on a good job. Now I can really be productive in my astronomical photography. Best regards from a too-often-cloudy UK! This is the most understandable , fun to work with easy to use software i ever used, if only Canon could undertstand our needs as astrophotographers lol, Guylain did and thus BYEOS & BYNIKON was born! One thing i can add in this review, Please get the premium version from the getcko so worth the little extra $ I Did purchase the Basic version and trust me you don't want to live with the guilt that you could have more! Guylain gave it to us in this premium Version! This product is awesome! I am new to astrophotography and this software has made it so easy for me to get some great DSO shots. I love this program, I can go to bed at a reasonable hour now..LOL! 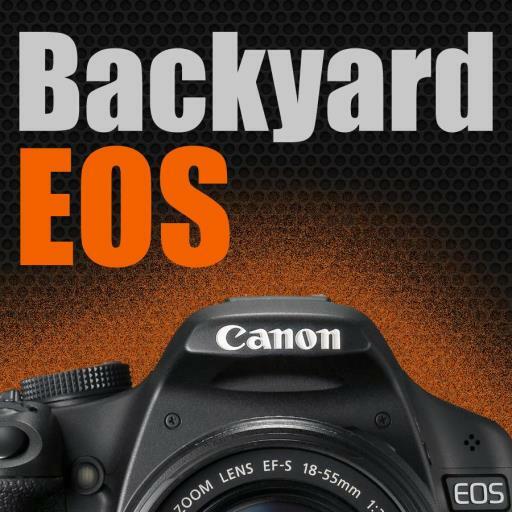 After trying and testing numerous software packages BYE (Backyard EOS) has worked out to be a 5 star performer for me. After many years of wanting to get back into astronomy and astrophotography I finally recently made the plunge and bought a new Celestron CGEM 1100 Edge HD system with all the bells and whistles less any decent camera systems. Those will have to come later after I have had time to learn a lot more about CCD imaging. But, for now, finding a software package that would work with my old Canon EOS Rebel XT (350D) was the priority and a bit of a challenge. With some help from Doug at Shoestring Astronomy and his DSUSB adapter I am set now. So far Backyard EOS has tested out excellent and the results have me in awe that I could get that much out of my old camera. Hopefully this will give me plenty of time to work into the CCD imaging era with out quite so much up front cost. Excellent Job!! Keep up the great work. This has completely changed my Astrophotography into something AWESOME!!! I have a little Alt/Az motor for my 90SLT. I built a DIY EQ Wedge and I have had troubles with Polar Align... until now! With BYEOS I've had successful Polar Alignment, Drift Alignment, and slewing to DSO's I can't see in the eyepiece. I wish I would have made this purchase long ago!